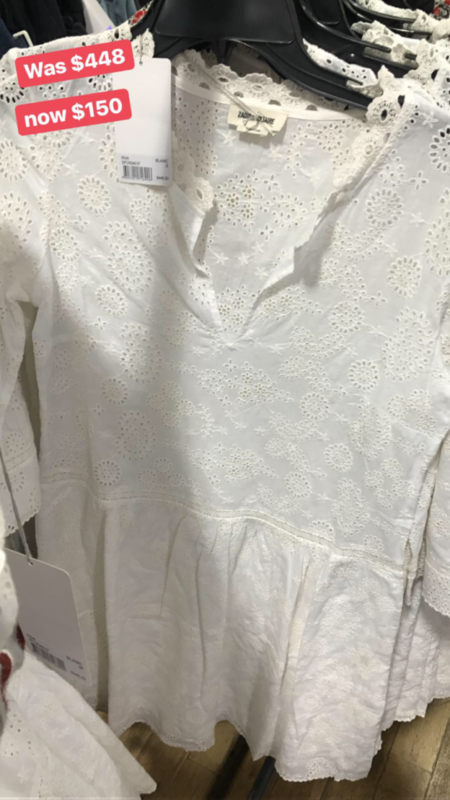 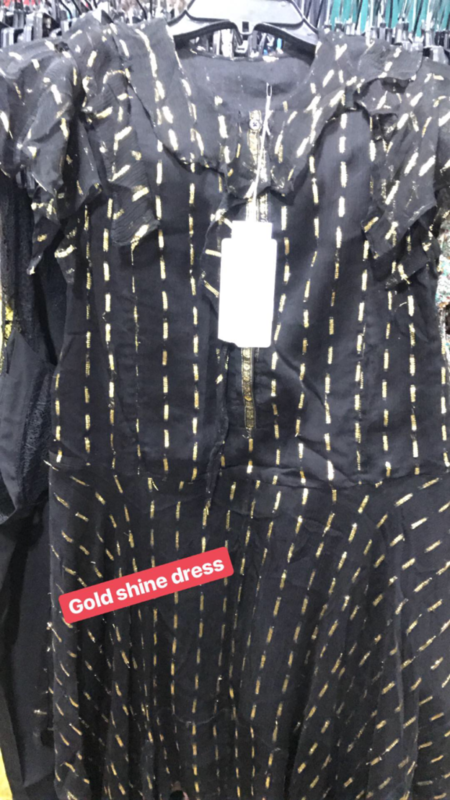 I’ve been to a lot of sample sales in my day and I just have to say some of the clothes I’ve seen were just plain WILD. 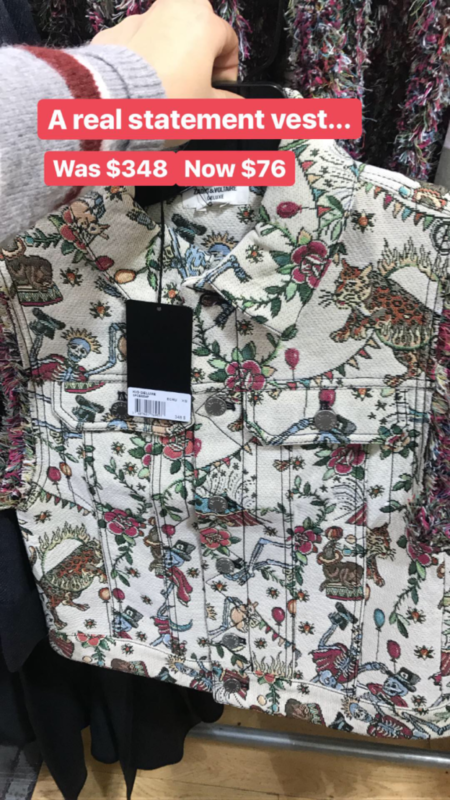 Just crazy clothes (at an insane cost) that I would be hard-pressed to use in my everyday wardrobe. 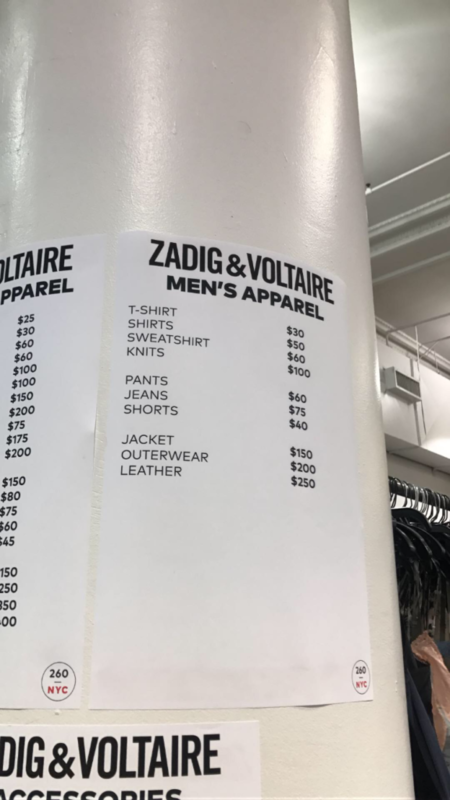 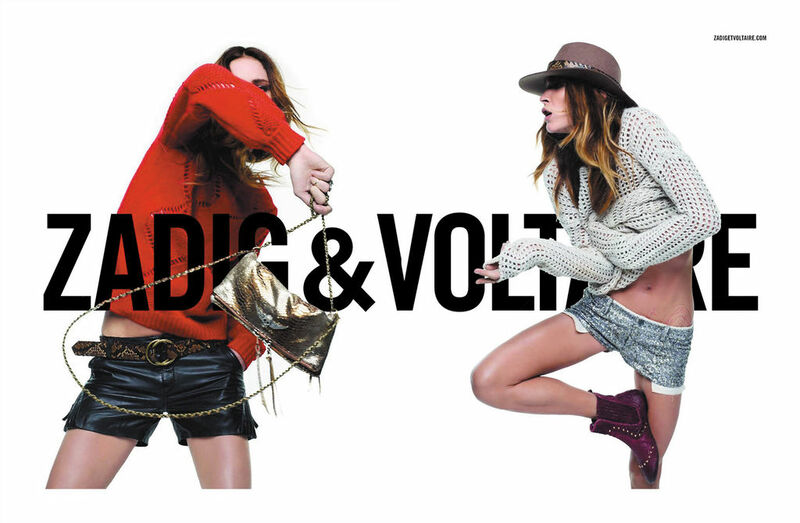 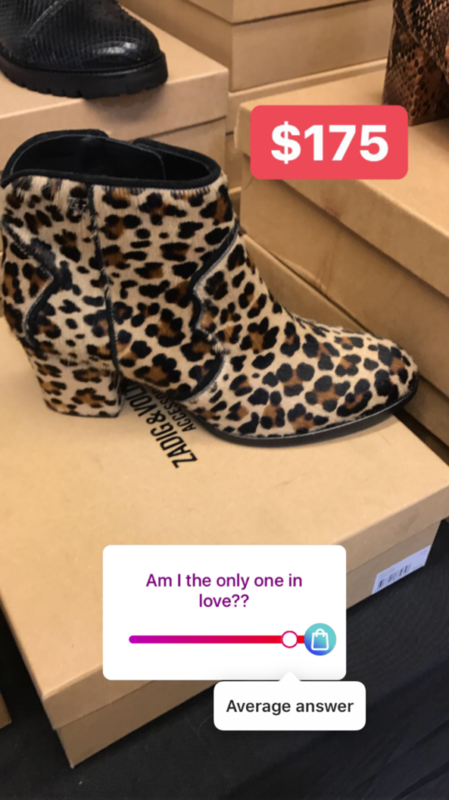 The Zadig and Voltaire sample sale was a breath of fresh air. 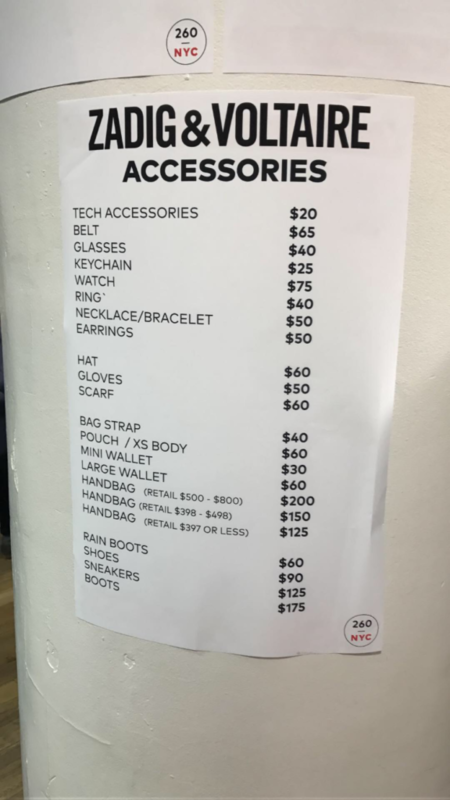 The sale featured a mix of everyday and statement pieces. 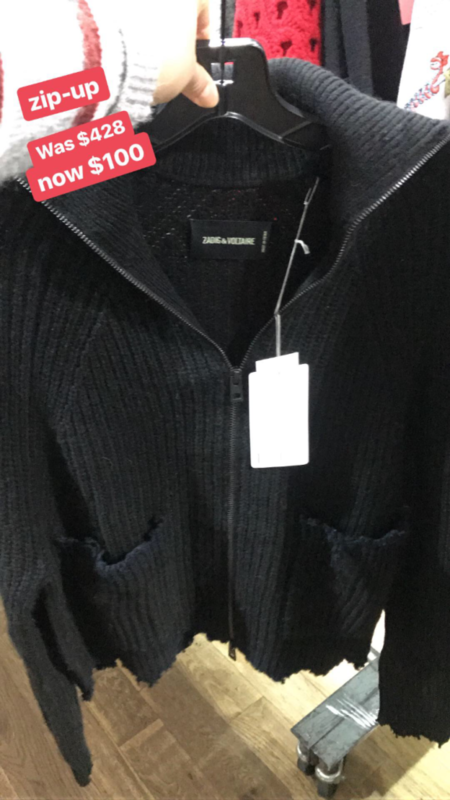 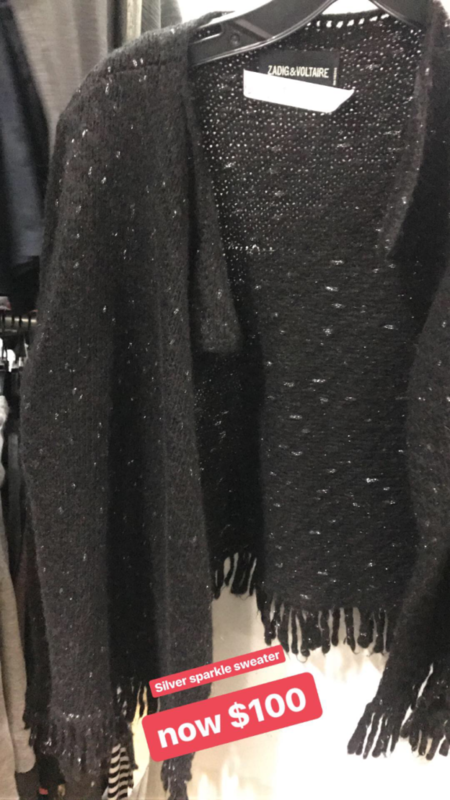 Some of the practical pieces which caught my eye were the extremely soft cashmere sweaters. 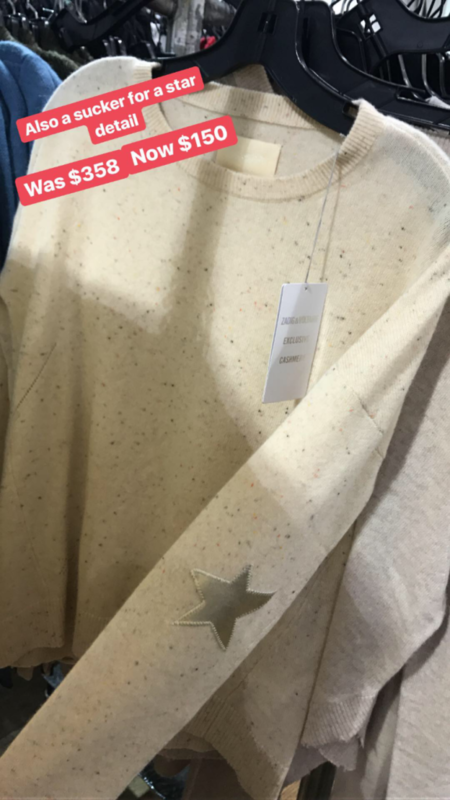 The sweaters covered an entire rack and came in a mixture of colors. 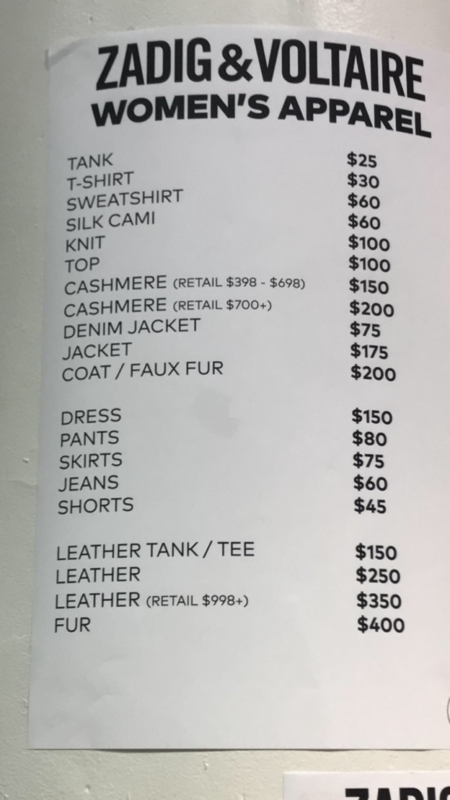 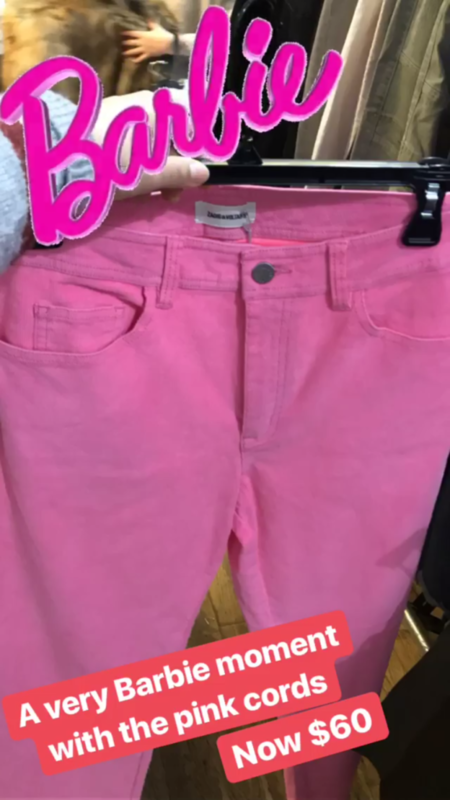 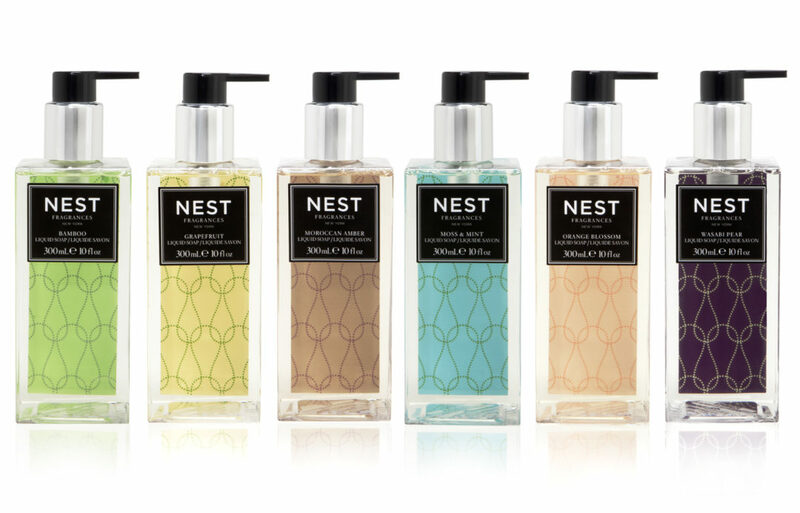 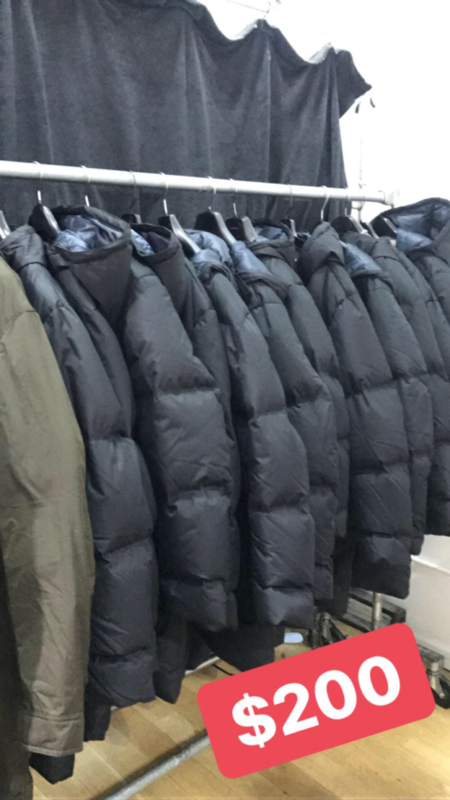 These insanely soft pieces were either $150 or $200, depending on the retail cost. 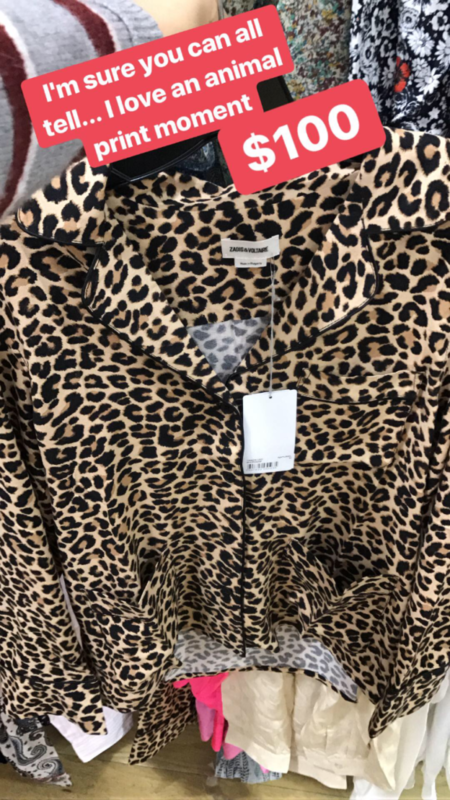 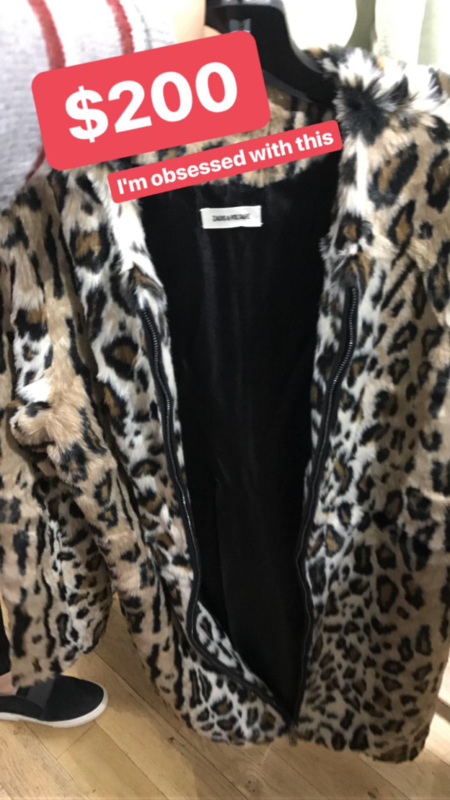 For statement pieces, there was a fuzzy faux fur leopard jacket that was to DIE for. 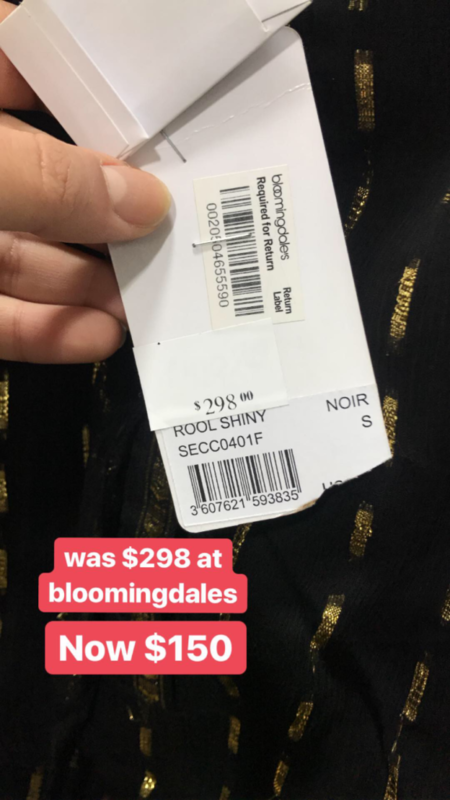 We rated the sale a 6 out of 10 because even though the inventory had something for everyone, the prices was not enough to make the sale worth it.